South Korea and the U.S. on Wednesday agreed to establish an operational plan to destroy North Korea’s road-mobile launchers to better cope with the communist regime’s evolving nuclear and missile threats. To craft the plan, the allies launched the “Deterrence Strategy Committee,” a body that combines the two existing military consultation bodies ― Extended Deterrence Policy Committee and Counter Missile Capability Committee. These decisions were made during the two-day Korea-U.S. Integrated Defense Dialogue, a biannual security meeting between the allies. South Korean Deputy Defense Minister Yoo Jeh-seung and U.S. Deputy Assistant Secretaries David Helvey and Elaine Bunn signed the bilateral agreement to launch the DSC tasked with developing the allies’ antimissile operational concept into a concrete operational plan. The official added that the operational plan would aim to strengthen the efficacy and capabilities of the U.S.’ extended deterrence by mobilizing its conventional strike capabilities as well as the nuclear umbrella. The launch of the allies’ new military panel came as concerns are rising that the North has secured considerable technology to miniaturize nuclear warheads to mount on long-range missiles such as the KN-08. At the DSC, the allies will focus on developing the so-called “4D” concept, the allies’ proactive defense concept. The 4D stands for “detect, defense, disrupt and destroy” ― the four major steps to handle Pyongyang’s nuclear and missile attacks. The “detect” represents the allies’ procedures to track North Korea’s missile movements with various intelligence-gathering assets, while the “defense” refers to a set of the allied defensive operations to minimize any damage from potential attacks. 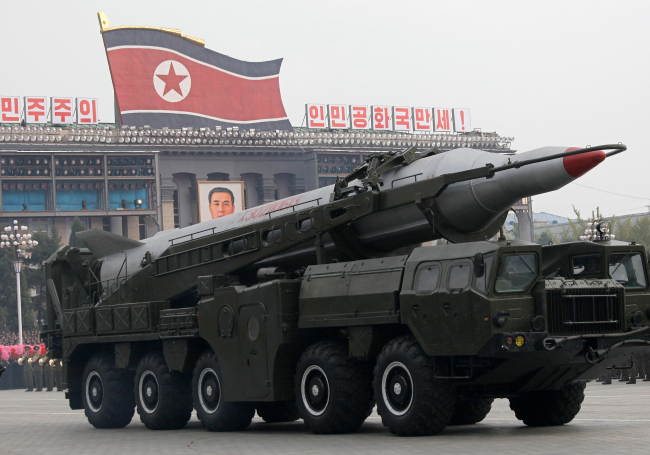 The “disrupt” means striking North Korea’s core missile facilities including supporting installations, while the “destroy” refers to the allies’ efforts to demolish the North’s mobile launchers, called TEL (transporter erector launcher), and incoming missiles. “Through the operation of the DSC, the allies will be able to effectively deter and respond to North Korea’s nuclear and missile threats, based on the 4D concept and the tailored deterrence strategy,” said Seoul’s Defense Ministry in a press release. The Kill Chain and KAMD are Seoul’s preemptive strike system and Korea Air and Missile Defense system, both of which are under development. At the KIDD, the two sides also agreed to launch the Korea Defense Veterans Association, an organization of retired former U.S. Forces Korea troops, to honor their past contribution to peninsular defense and help strengthen the long-standing alliance. Launched in 2011, KIDD is a comprehensive defense meeting between the allies that integrates the four existing consultative meetings ― the Security Policy Initiative, Extended Deterrence Policy Committee, Strategic Alliance 2015 Working Group and Counter Missile Capability Committee. The EDPC and CMCC were merged to launch the DSC.